There are a few constants in life. Usually, that would be death and taxes, but we at Sentai Filmworks would be so humble as to request that anime seasons be added to that exclusive list. A new season comes around every three months, after all. That’s four times per year. While we were preparing for the new winter simulcast season, we took a look at a few of our previous winter titles from before. Bundle yourselves up and join us as we reminisce for a bit. 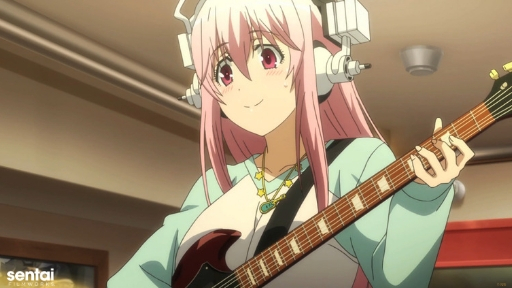 If you haven’t heard of Super Sonico, then you’re missing out on a popular franchise. 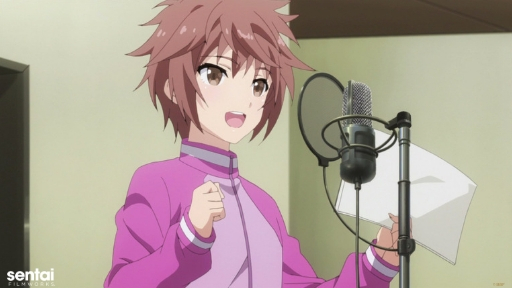 She’s spawned multiple music CDs, manga, games, and, of course, an anime! We had a lot of fun when it came to this show. The OP song is an earworm, so there was a time where our marketing team was singing it in unison and, before we all knew it, the production team joined in, followed by development and ADR. Two questions: Does your enjoyment from eating food go beyond the basic necessity for survival? 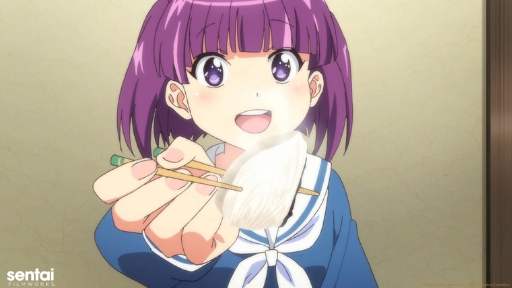 Do you prefer a serving of “Cute Girls Doing Cute Things” to go along with your Slice of Life? If so then, Gourmet Girl Graffiti is what you’re looking for! Sure, there aren’t any high-stakes cooking tournaments that will determine the fate of all taste palates everywhere, but not every story has to be like that. Sometimes, you’re just looking for something a little more relaxing and low-key. Show of hands: how many of you spent your high school days talking with your friends about that awesome video game all of you were planning to make! Were any of you able to make that dream a reality? For those of you who did, then the exploits of Buntarou and his friends should sound familiar. (The writer can undoubtedly relate to the dreaded condition of writer’s block!) For those of you in the other camp, take heart! It’s never too late to accomplish anything! Through sheer coincidence, it turns out that one of our titles for this winter (2019 for those of you reading this in the future, or...past. We see you Time Lords!) simulcast season is the sequel to one of our winter 2017 simulcasts! 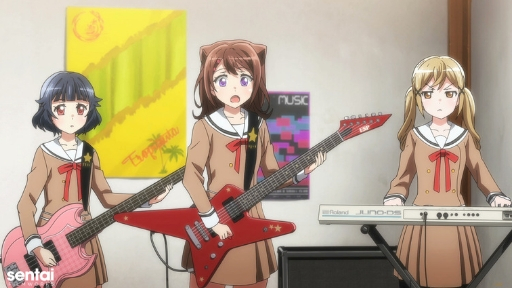 So, if you were holding off on watching the second season of BanG Dream! because you haven’t caught up yet, the entire first season is available on HIDIVE! 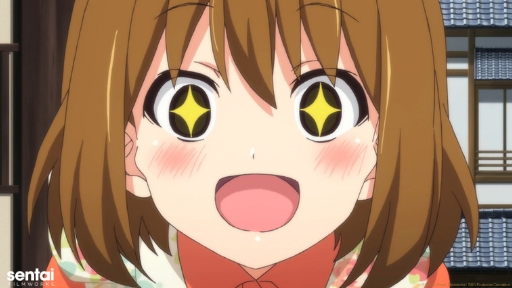 Oh, and the OVA, too! For those of you who are all caught up, you can still get your BanG Dream! fix with the mobile game! 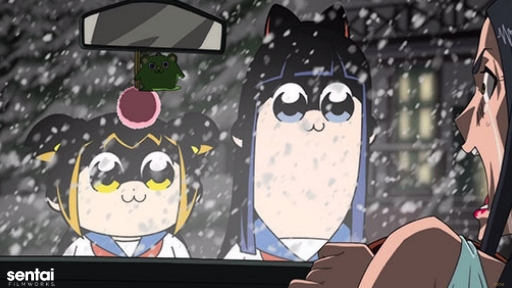 A wise person (i.e., us) once said: “One cannot be told what Pop Team Epic is. One must experience it for themselves.” After all, there are no words in English or Japanese that can convey the sheer majesty of Hellshake Yano and Shouta Aoi. 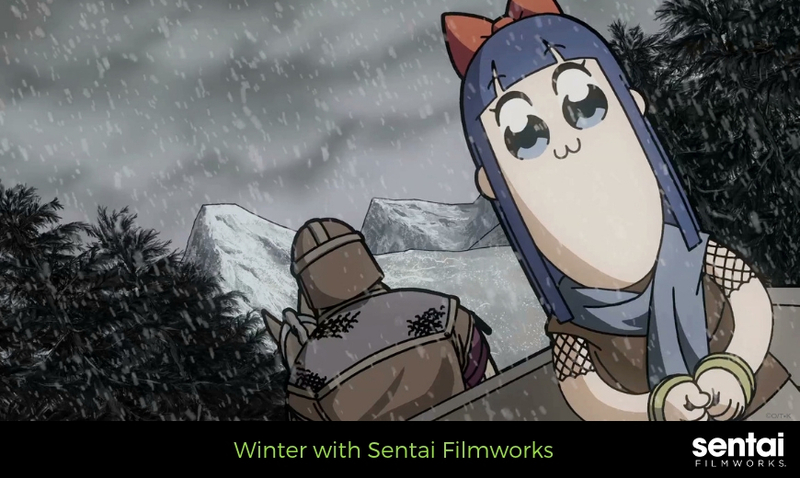 If you haven’t seen Pop Team Epic yet, we have this to say: Go and binge the entire series right now. It is then and only then that you will fully comprehend why all your friends spammed your timeline with memes last year. Regardless, it always puts a smile on our faces when we see the kind of shenanigans this trio find themselves in every day. All they want is to protect the town they all love so much. It’s not their fault that they fundamentally misunderstand what’s going on (and sometimes make one too many poop jokes). They’re kids, after all. Oh, and we should probably insert some kind of comment/reminder about how this is getting a dub. That would be really important information to remind everyone about, wouldn’t it? How quickly time has passed. We could say something like it was only yesterday when these titles first premiered, but that would be cliche. Let’s keep an eye on the future and watch some more anime instead! 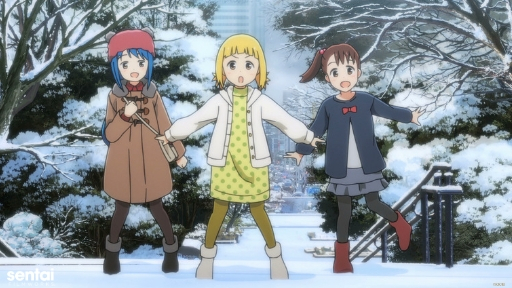 Got any memories of your favorite winter anime titles? We’d love to hear them, so let us know with @SentaiFilmworks with the social media buttons below! And don’t forget to sign up for our newsletter!